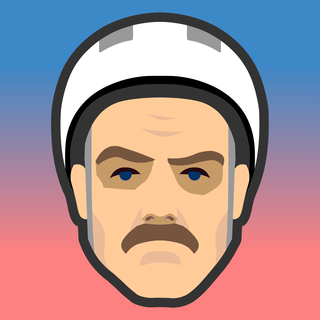 Happy Wheels from Jim Bonacci is a physics-based game, and like most titles in this genre it revolves around a simple concept – moving your character on a Segway, but because of the physics, this simple activity becomes quite a task. There are 15 levels and while that may not seem like a lot, it’s going to take a while to finish. Getting your Segway guy to the finish line isn’t going to be easy because there are obstacles on each level, and unless you’re careful it’s going to be game over soon. Because the game is physics based you can’t move around as you would in an arcade, however, it’s funny to see the different ways your character comes to harm when you fail. The game is strong in the humor department, and the cartoony graphics adds to it. Even if their limbs get chopped off or they fall off the Segway, players can get back on the Segway and try again. If you’ve never played any of these games before it can be difficult at first because your character gets injured often. However you need to be patient and give yourself time to get used to the game. Even if you’re not into physics based games, Happy Wheels is still worth checking out. It’s a nice change of pace from the usual puzzles and action games, and it’s really quite funny too. While it’s going to take a while before you can complete a level, Happy Wheels will nevertheless keep you coming back for more.